“Shakespeare is humanity’s master of ceremonies”. This phrase synthesizes, with precision, the importance of English dramatist William Shakespeare, born on April 23rd, 1564, in Stratford-upon-Avon, a small town in England countryside. Cognominated the Bard of Stratford, he is acknowledged worldwide as the poet who rummaged with deep wisdom the whole complexity of human nature. 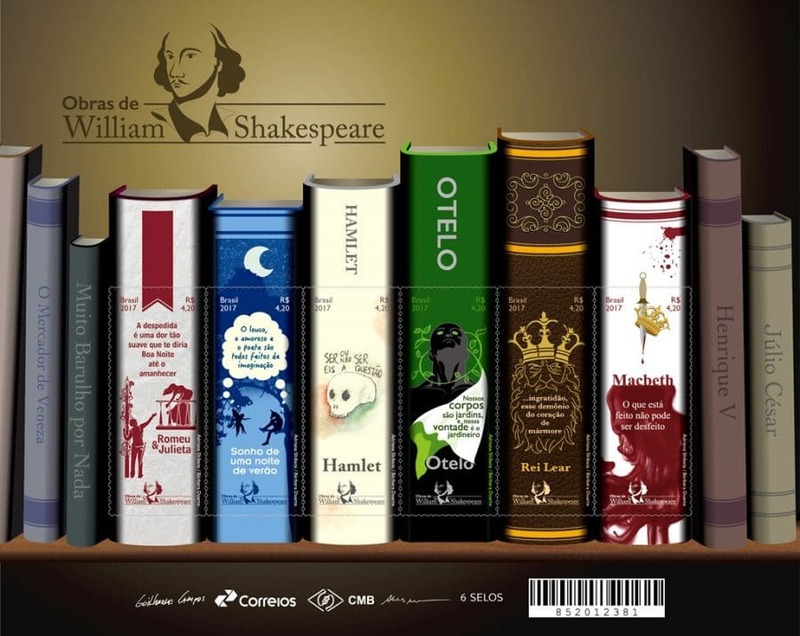 Shakespeare left us thirty nine plays, five great poems and the celebrated 154 sonnets; over thirteen hundred characters; a vocabulary with over twenty one thousand words (the biggest amongst all writers) of which over two thousand are his full creation. His thought is disseminated among us. His dramas, his phrases, his verses, are incorporated to our routine, and we quote him all the time, even without knowing it. Theater, TV, cinema repeat Shakespeare exhaustively, all the time. Actors and actresses play the good and the evil: sarcasm, laughter, cry, weakness, power, strength, pain, joy, happiness, contempt, are always reproducing his characters. Shakespeare considered man a sublime being, whether weak or strong, good or evil. He loved mankind. His work expands and widens the human mind, making man think more, feel more, see more through his plots and characters, which, instead of being read, read us, no matter how unbelievable it may seem. Considered the father of modern theater, his monumental theatrical work is broken down in tragedies, comedies, historical plays and novels (final pieces). Thus, in the work considered the maximum work of the human genius, Hamlet – from the famous soliloquy “to be or not to be: that is the question” –, Shakespeare presents us a prince who raises all questions inherent to human condition. In Macbeth, he discusses the unbridled ambition for power, which measures no consequences until reaching its goals, even if leads to annihilation and madness. In Othello, he reveals the whole destructive power of envy and jealousy. In King Lear, he shows us the old age that lost discernment. In Midsummer Night’s Dream, he approached the world of dreams, presenting all the transforming power of imagination. In Romeo and Juliet, we have the greatest love story of all times, the two youths who became mixed up with the real. William Shakespeare was one of the most important dramatists and writers in humankind history. He wrote brilliant works, which are today adapted to theater and cinema. 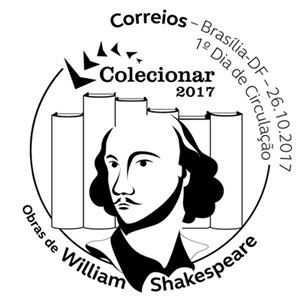 In this issue, Correios Brasil pays homage to six works of the Bard: Romeo and Juliet, Macbeth, Othello, Hamlet, King Lear and Midsummer Night’s Dream.